Discovery Litigation Services will cover your deposition anywhere in the state of Florida. Our professionals are experienced in cases of all sizes. Our court reporters are highly skilled in their craft, and they are ready to meet your specific case needs. 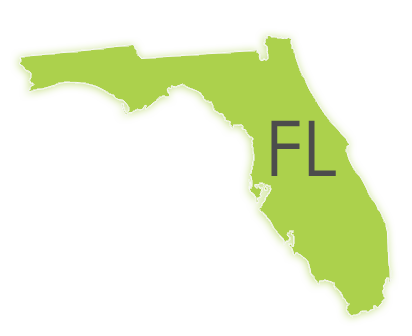 Our skilled Florida team makes sure we supply the correct reporter for your case. Whether you need videographer services, interpreter services, or something even more unique, we have the personnel and service culture to make your deposition as seamless as possible. We understand the need to use the highest quality reporter for you. We have the experience to deliver in the most remote areas across the country. Finding a qualified court reporter, booking a conference room, hiring a videographer, putting together all of the pieces required for your deposition is a job in and of itself. It takes you away from the work that is essential to winning your verdict. Now you have to find all of these resources in a remote location with no guarantee of quality professionals to fulfill the job. Instead of compounding your workload, eliminate your stress and get better results. There is no deposition too remote with Discovery Litigation Services’ video streaming-enabled court reporters. Don’t limit your selection pool to what is “nearby”, and start choosing from the best professionals regardless of your locality. Discovery Litigation Services offers nationwide coverage for court reporting, videography, and trial presentation solutions. You might find other Florida Court Reporting agencies that can staff a deposition or corporate proceeding, but the stenographer is just one piece of the overall puzzle. What about the videographer, booking the room, coordinating schedules, tracking down interpreters, setting up a remote feed for high definition streaming to remote parties? What about the rest? Click “schedule a deposition” t o stop getting one-off services. Choose a comprehensive solution. Discovery Litigation Services will satisfy every crucial requirement of your deposition. If your deposition requires a Chinese to Spanish Interpreter in Florida, we have you covered with our highly trained and accurate interpreters. Perhaps your complex case requires a real-time feed for effective interpreting, we have the solution. Discovery Litigation Solutions provides interpreters anywhere in the world in any language that is needed. With our network of highly experienced interpreters, your deposition is in good hands. Stop limiting your selection pool to what is available. Start getting the best professionals, and the most qualified interpreter regardless of your locality. Discovery Litigation Services is a nationwide company with offices from Atlanta, to Los Angeles, across to New York, and everywhere in between. We have you covered for all of your interpreting, mediation, arbitration, and trial presentation needs. Our core reason for existing is to provide you with comprehensive solutions to all of your deposition and corporate needs. With Discovery Litigation Services on your team, you can focus on the important aspects of bringing a resolution to your case. Schedule a deposition and let us handle the rest.